In July the Guernsey Schools U15 squad will make their annual trip to Gothenburg, Sweden to take part in the Gothia Cup. The Gothia Cup is the world’s largest and most international youth football tournament. Each year, around 1,600 teams from 80 nations take part, playing 4,500 games on 110 fields. 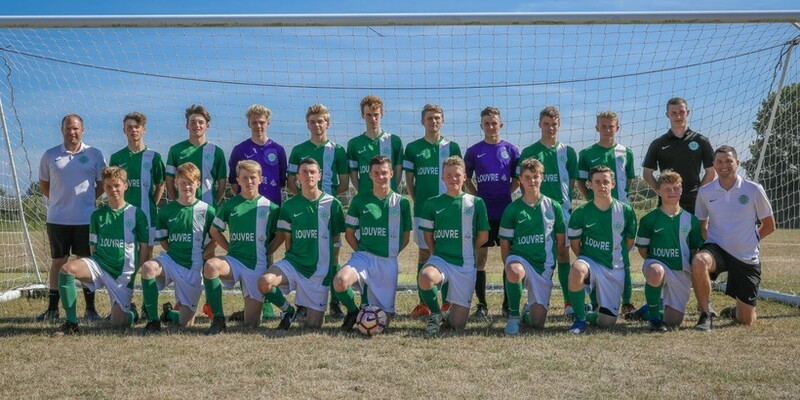 Louvre Group is sponsoring the Guernsey team for a fifth consecutive year, making it possible for the U15s to participate. Kevin Gilligan, Managing Director of Louvre Fund Services, comments: ‘Going on past years, the Gothia Cup proves to be an invaluable experience for the boys. ‘It gives them a chance to meet players from different countries all with various styles of football. This year’s squad has been training twice a week since the Guernsey FA (GFA) season finished, focusing on tournament football skills. Sessions have involved a variety of scenario-based practise drills and areas of focus taken from the Muratti game. Although the team came out of the Muratti in March with a 4 - 1 loss, Coach Mark Ingrouille reported that each player gave everything to the game and it was widely considered that the result was not a reflection of the game played. The team are reportedly looking sharp following a strong UK tour which saw them play some of the best players in Gosport and Fareham. They were also involved in competitive games against academy sides from Portsmouth FC and Southampton FC. In the final lead up to Gothia, the squad will get a real taste of playing competitive fixtures with short recovery times as they play numerous games over the weekend of the 29th June. They will face last year’s Guernsey team, a solid Jersey school side and many prospective Guernsey U14s. Speaking of his team, Mark Ingrouille says: ‘While in the UK we, as coaches, got a real insight into the chemistry and make-up of our squad. Their motivation and enthusiasm to improve along with their analysis of the game and determination to play exceptional football shone through. ‘We are so proud of the players for the pride that each one shows when they put on their green shirt and head out onto the field, and that each one gives everything they can during a game. Once in Gothenburg, the players will experience the opening ceremony at Ullevi Stadium, home of IFK Gothenburg, where they will be surrounded by 50,000 players, coaches and spectators to ensure a truly unforgettable experience.